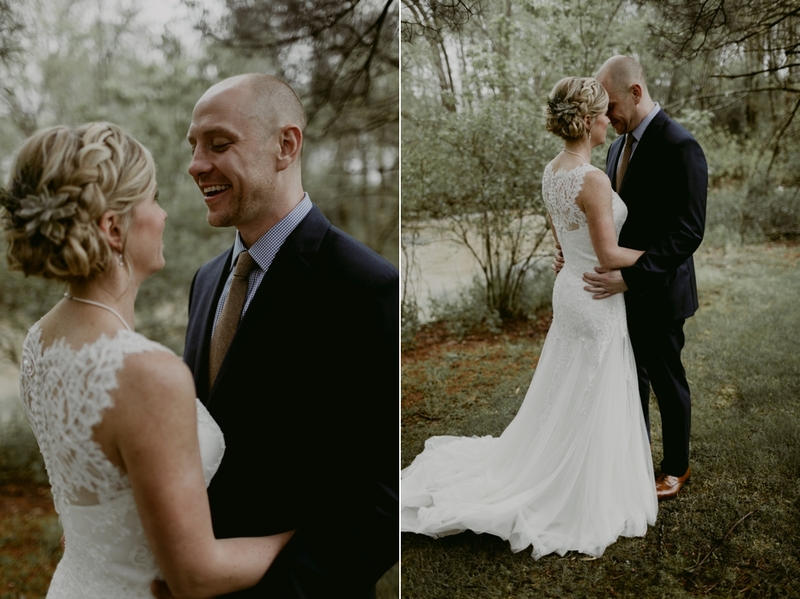 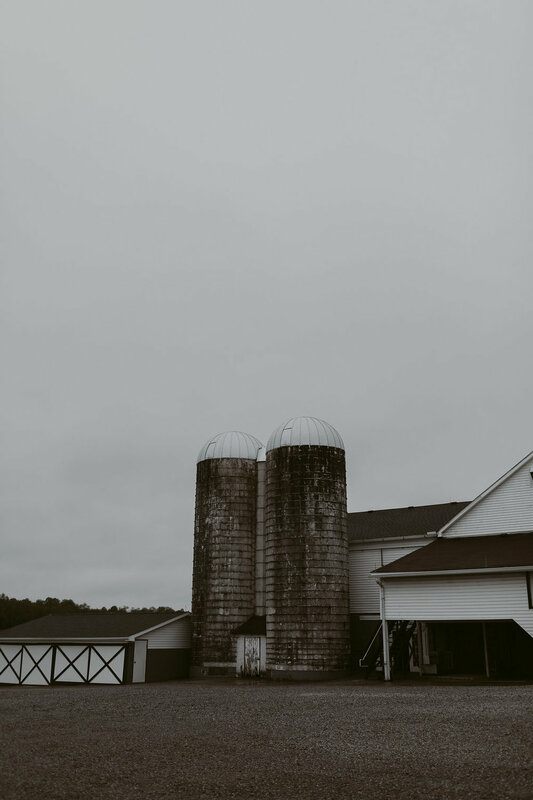 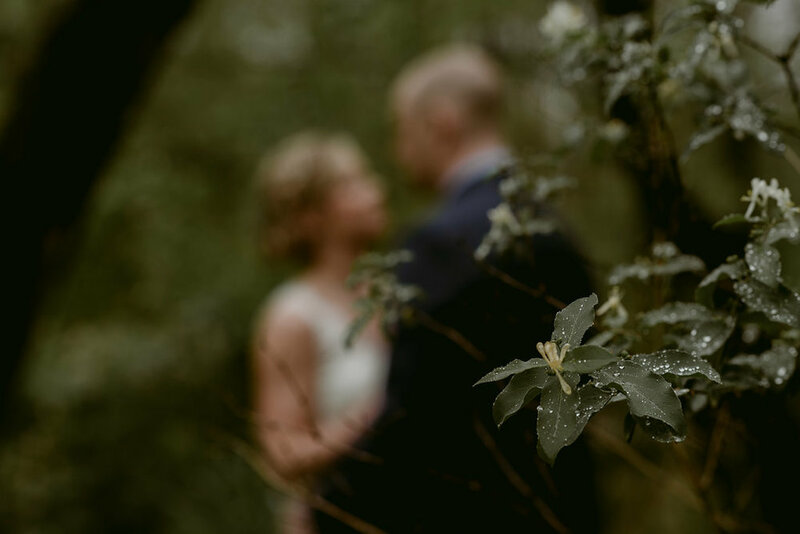 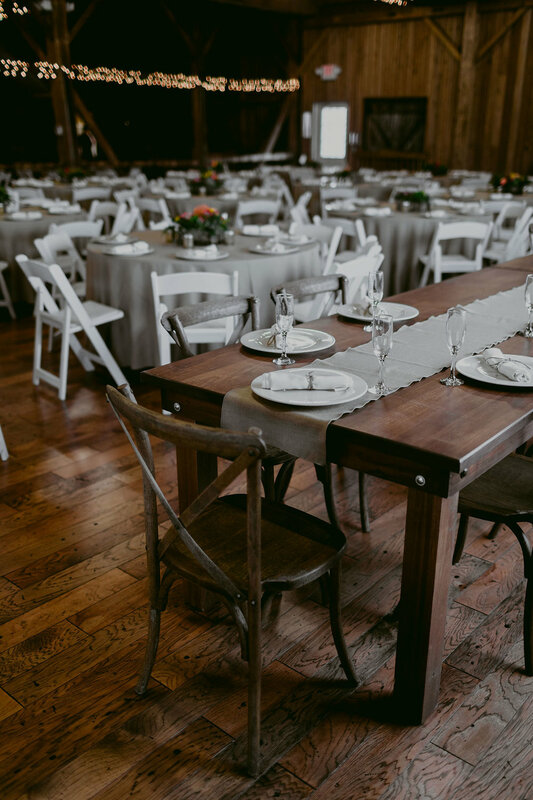 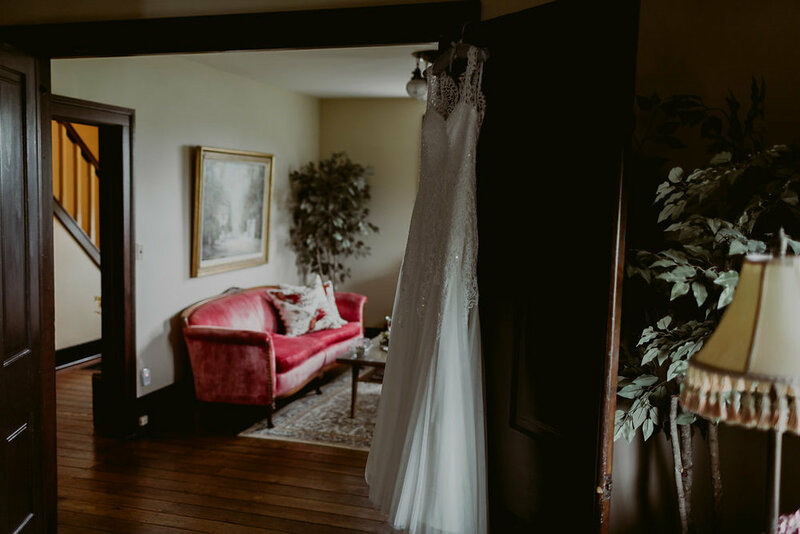 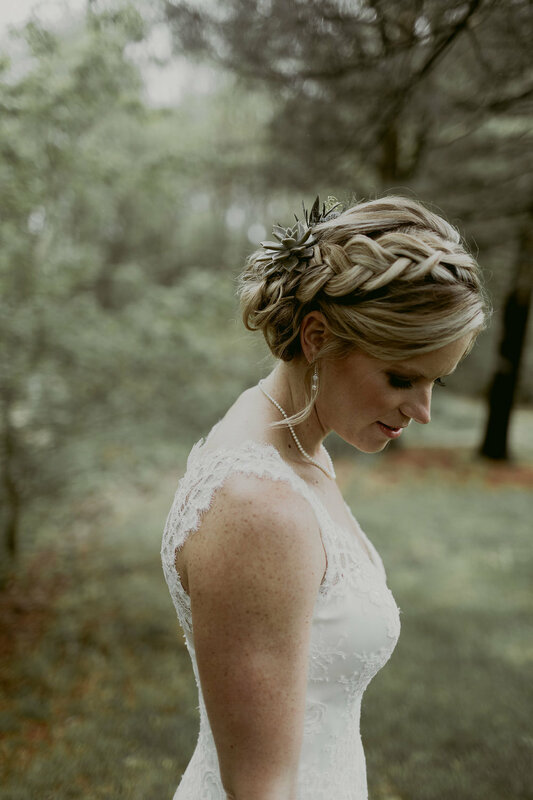 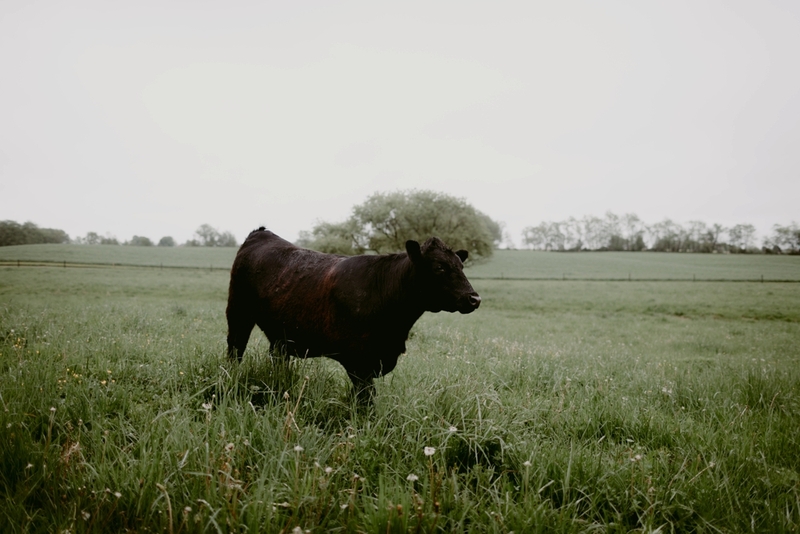 After spending the morning with her girls in the historic farmhouse, Mandy calmly got dressed while awaiting the rain shower that showed up uninvited for their first look. 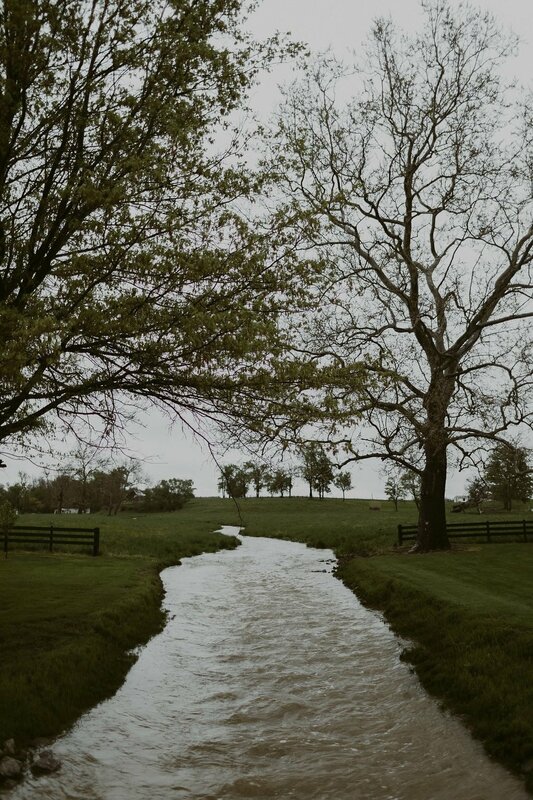 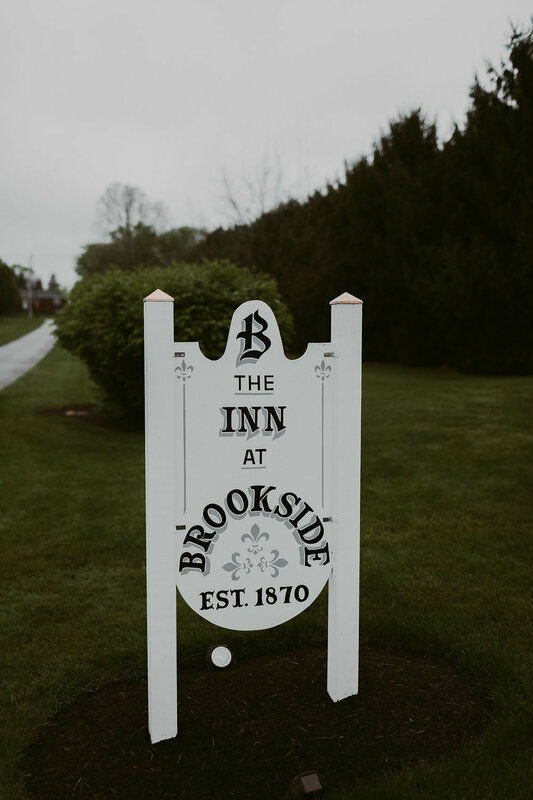 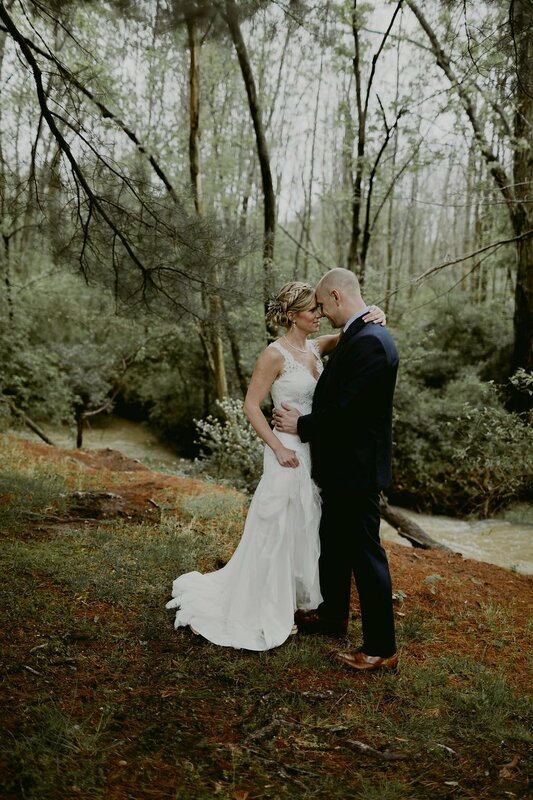 Rain on a wedding day is a common fear in Ohio but Mandy & Wade gracefully endured the light showers to make memories out in the fields at Brookside Farms before their barn ceremony + reception. 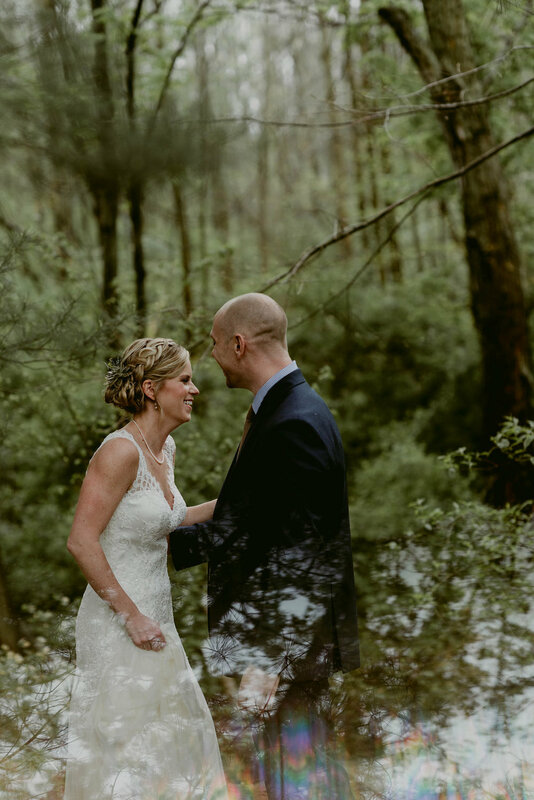 As a heavy fog quieted the scene, we found quiet places for shelter under the evergreens along the creekside. 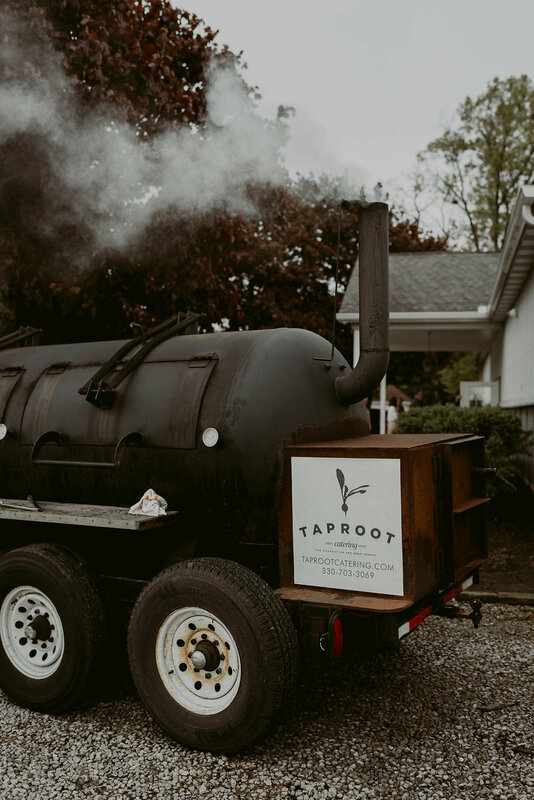 Guests enjoyed the smell of dinner from the smoker as they arrived to the ceremony. 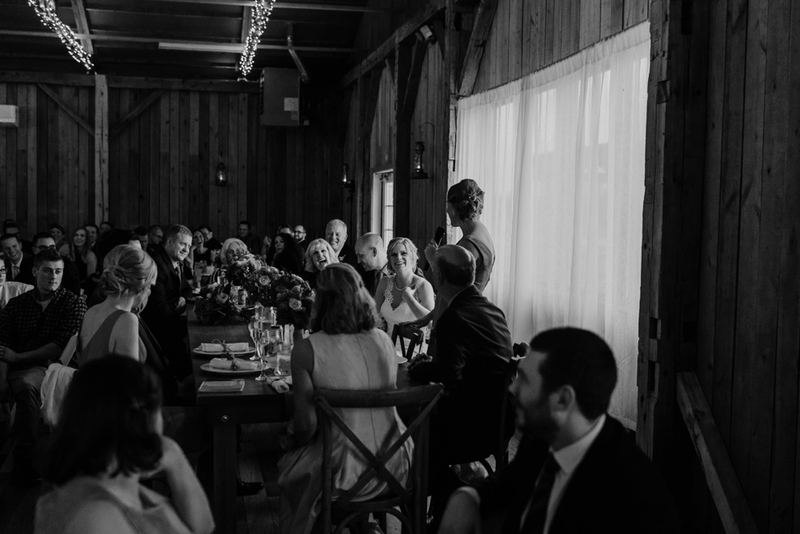 And they partied into the night while these two thoroughly enjoyed everything the night had to offer. 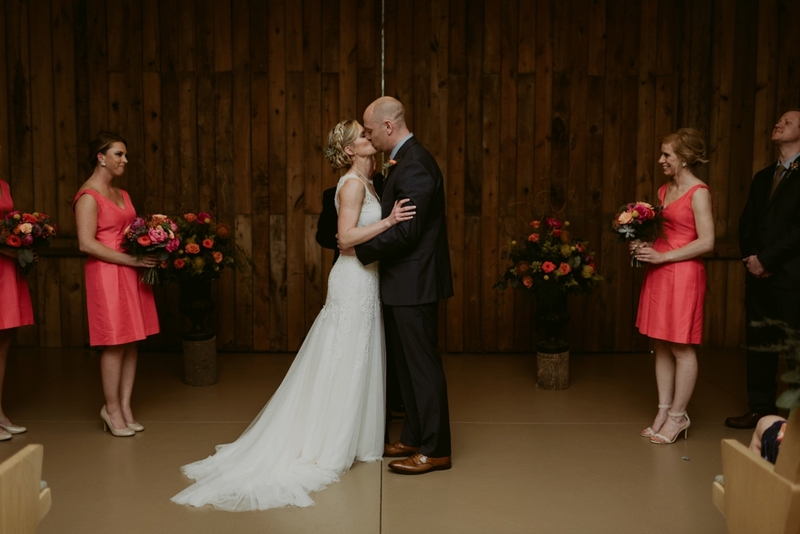 Plan a wedding day that's HONEST & REAL, I dare you.